The Cherry Mobile Apollo is the higher-end handset unveiled in Cherry Mobile's "Game Changer" event with a stunning 326 ppi iPhone-like IPS display. 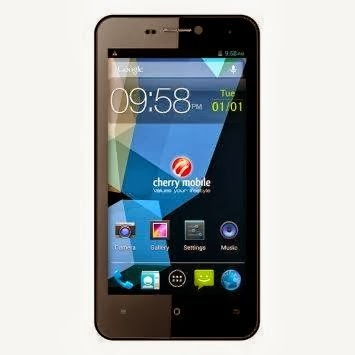 However, the device might only be available in selected Cherry Mobile concept stores until the local fruit company formally unveils the device. This phone signatures a 4.5-inch screen with 1280 x 720p resolution. Other marquee features include a gigabyte of RAM, 4GB ROM and 1.2 GHz quad-core CPU. Mobile photographers will also be treated with 12MP rear shooter. Other essential radio completes its specs. Being a "screen person," this handset appeals to me more than any other releases Cherry have had this quarter. Of course, the Cosmos Z is stunning in 1080p full HD, but I just think the Apollo is the better value-for-money version for those looking for a sub-8K handset.